Our camps offer a vast range of activities. From Water Zorbing to Outdoor Cookery and Mask Making to Yoga! Every day is a different day at XUK... Some of our campers come to our day and residential camps for multiple weeks so we like to keep our activities fresh and exciting for them. We are always on the lookout for new activity ideas to mix things up and bring something different to our camps. “So where do we find new activity ideas?” We hear you ask. Watch this space to see which activities make it onto our timetables next summer! Pinterest is an outstanding place to look for inspiration (and very addictive too)! If you type in summer camp activity ideas, you’ll be blown away with how many come up. This is where we found the idea for our giant ‘kerplunks’ that each camp had this summer. Pinterest is also a fabulous place for us to search for arts and crafts ideas. We found our ‘Hammer & Nail Art’ activity on Pinterest! There are many other summer camps around the world. There are 12,000 just in the USA alone! 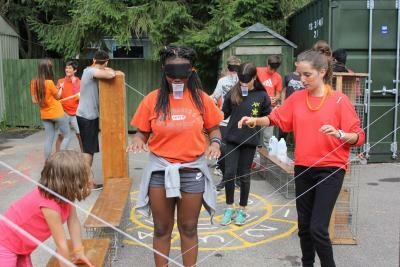 We are part of different forums where we share ideas with other summer camps around the world. They say that ‘sharing is caring’ so if something goes really well at XUK, let’s tell the world know so other campers can enjoy it too! We are very proud of of high returning rate of staff each year. Unfortunately, as staff move on and often find themselves with ‘real world’ jobs, they are unable to commit to a summer at XUK. Fortunately, we employ lovely new staff each year too who can bring new, fresh ideas. 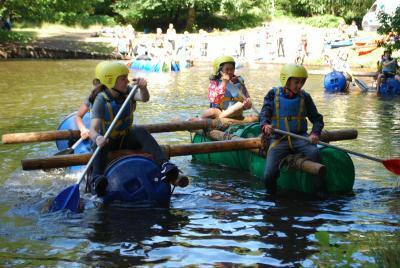 They might have worked at a different camp before and have ran activities which have gone particularly well or could be teachers and have something that has been successfully tried and tested at school. We always welcome their ideas. Our Activity Managers are on hand to turn these great ideas into a reality! Finally, our venues or facilities might change from time to time and it is important that we make the most of the fantastic facilities we have on site. Take next summer for example, XUK Activity will be moving to a fabulous new location, Abberley Hall. We will have lots of the outstanding facilities the old venue had, plus more... We are very excited to announce that our new venue has a lake, enabling us to offer Raft Building and Racing! There is also a wonderful woodland area, complete with an outdoor pizza oven, hire pit and campfire area! Bring on the Bush Craft! Keep your new activity ideas coming, we love receiving them!